Best EVERLASTING L515 Rocking/Reclining loveseat! 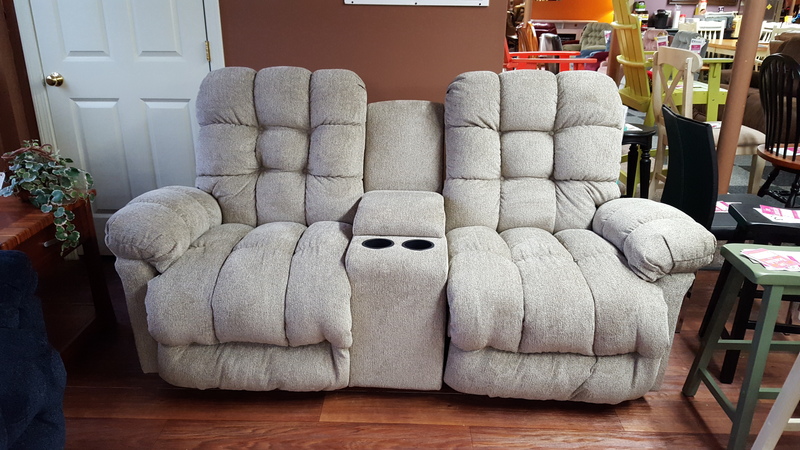 Title: Best EVERLASTING L515 Rocking/Reclining loveseat! This loveseat rocks and reclines! With plush, overstuffed cushions and a biscuit back, the Everlasting dual reclining sofa is the definition of comfort. The whole family will love to snuggle up with a warm blanket for movie night – but make sure it’s a nail biter so this sofa doesn’t lull you to sleep. This sofa can be outfitted with Power to recline at the touch of a button, and customize it by choosing over 700 coverings from refined PerformaBlend to colorful woven fabrics. Complete the look by adding the matching loveseat and recliner.